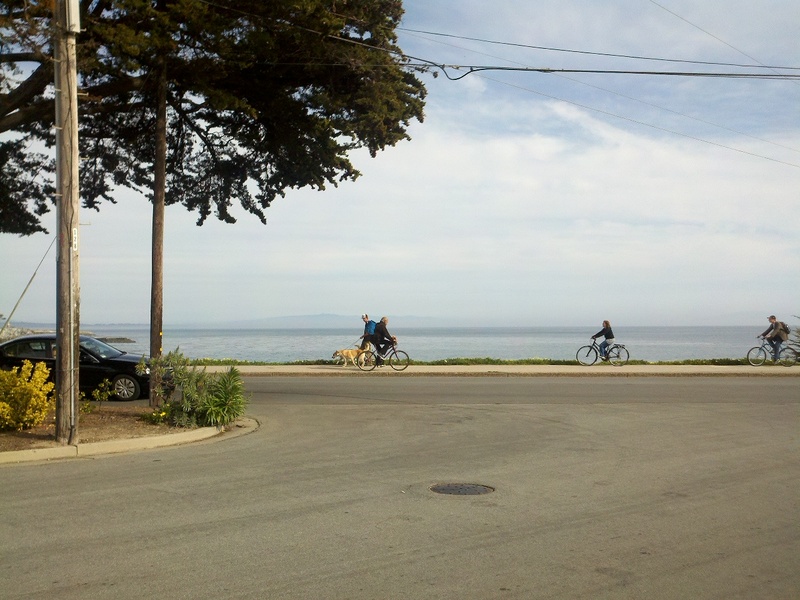 Santa Cruz | Can I Bring the Dog? 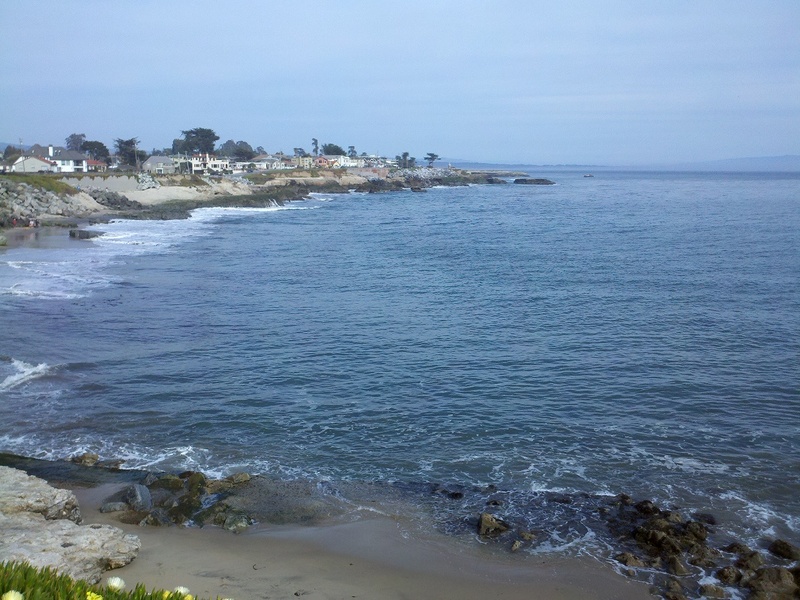 I lived in Santa Cruz from 1974 until 1986 or ’87 and it’s always a treat to come back. 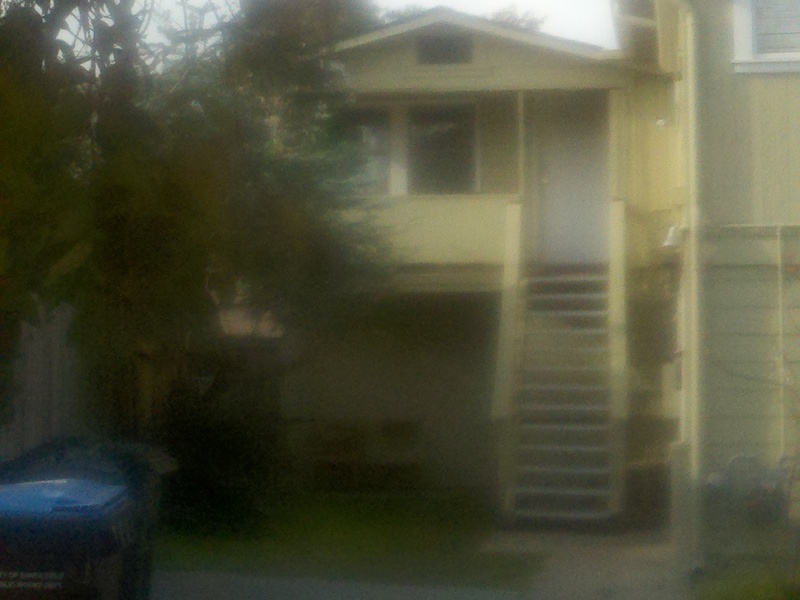 That little upstairs apartment is 143 1/2 Broadway. I lived there in maybe 1982. I don’t miss it, in fact, now that I think about it, I never did miss it much once I moved out. I’ve got a number of friends here and will do a fair amount of visiting around. Tim and Doris live near West Cliff Drive, a very popular place to get outside. We’ve hit a streak of fabulous weather. On Saturday morning, we went and did some run thrus with the folks at Living With Dogs. Chico did well with the other dogs there, he was crazy and distracted and hard to steer for most of our five runs, but we had fun. 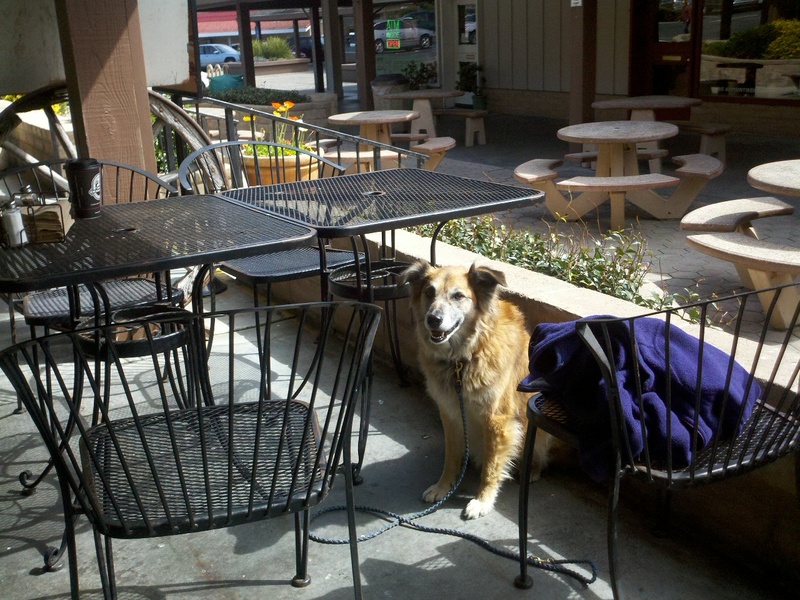 Afterwards, we met my long time friend Nancy P and had lunch on the patio at Erik’s Deli. Erik’s opened about the time I started living in Santa Cruz, it was nice to see they have carried on. 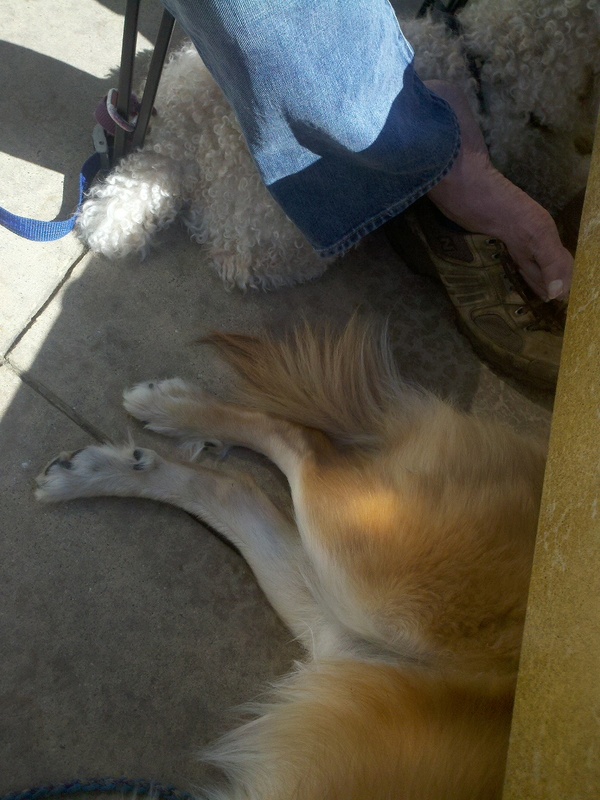 On Sunday, Chico and I went to the Santa Cruz Harbor to meet some friends for lunch. 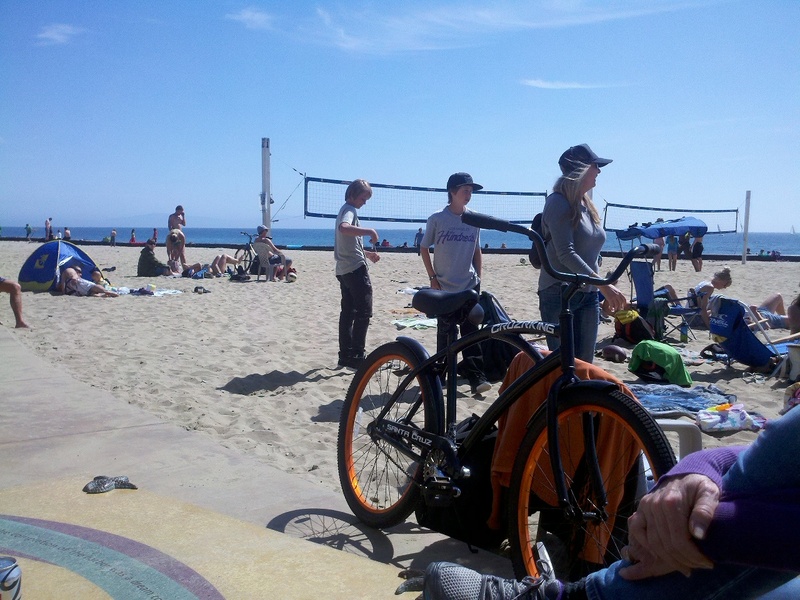 Mid-March, beach day. Don’t get many of those in New Hampshire. Dan and Adele brought Jacques. Jacques wanted very much to play with Chico, but Chico wasn’t having any of it. 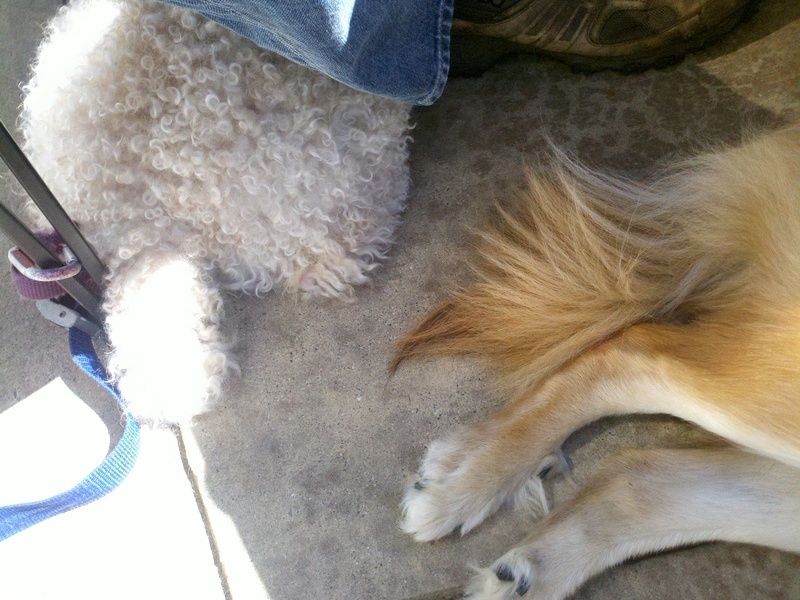 The humans had tacos, and the dogs, slowly, got accustomed to each other. After about an hour and a half, and a game of ‘treats by turn,’ Chico relaxed enough to move close enough to Jacques to be in the shade. 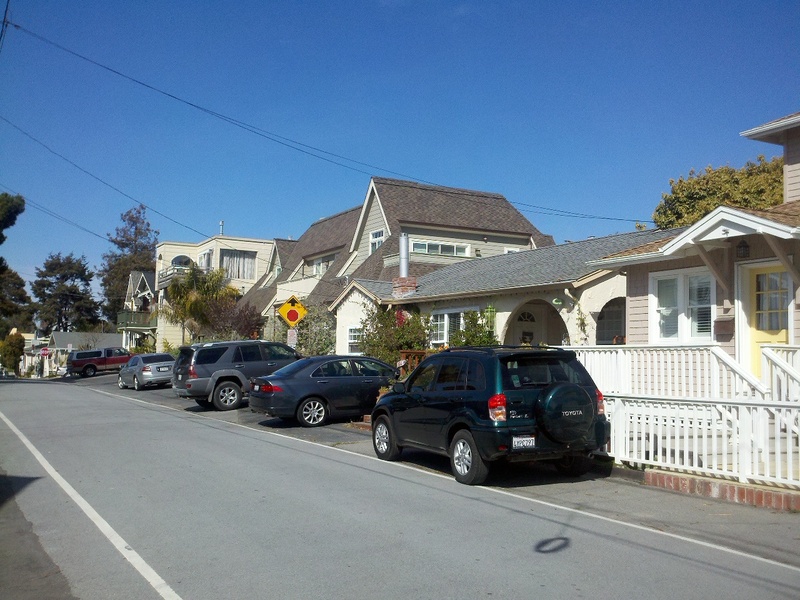 It’s nice enough there, but the houses are so close together. I think Chico and I both prefer the environs up at the mystery spot where we’re staying. 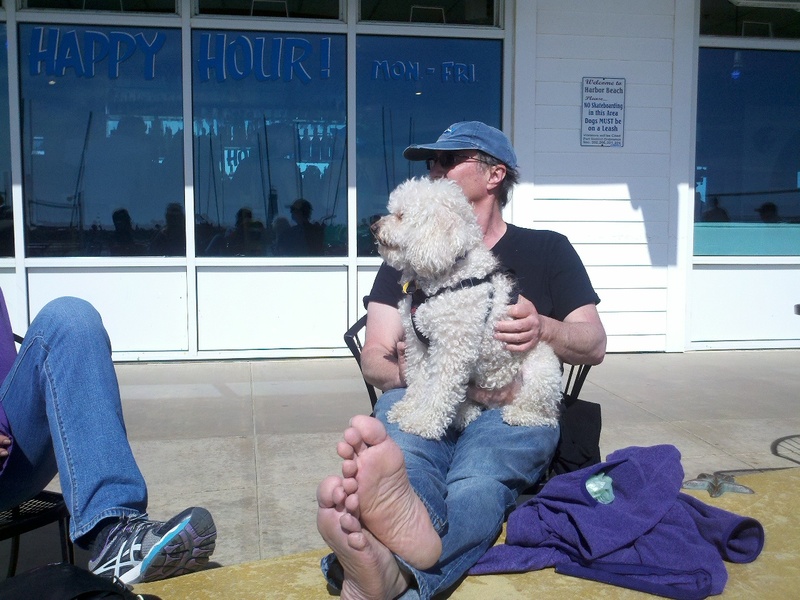 This entry was posted in Uncategorized and tagged Field Trip, relations between dogs, santa cruz ca. Bookmark the permalink.